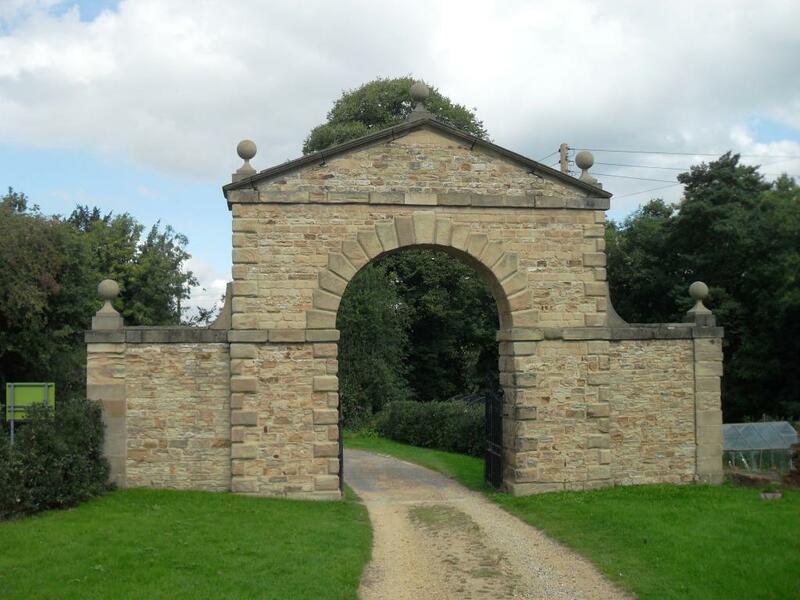 Archer's Hill Gate was built in 1744 for William Wentworth and marks the place where the old public road left the Wentworth Castle Estate. The three arches frame the views across the parkland. The name probably commemorates Thomas Archer, the architect who designed the Baroque front of the mansion in the early 18th century. It was rebuilt in 2007. The Corinthian Temple was built in 1766 for the Earl of Strafford. John Platt, of Rotherham, was commissioned to carve four Corinthian columns to match those on the house. 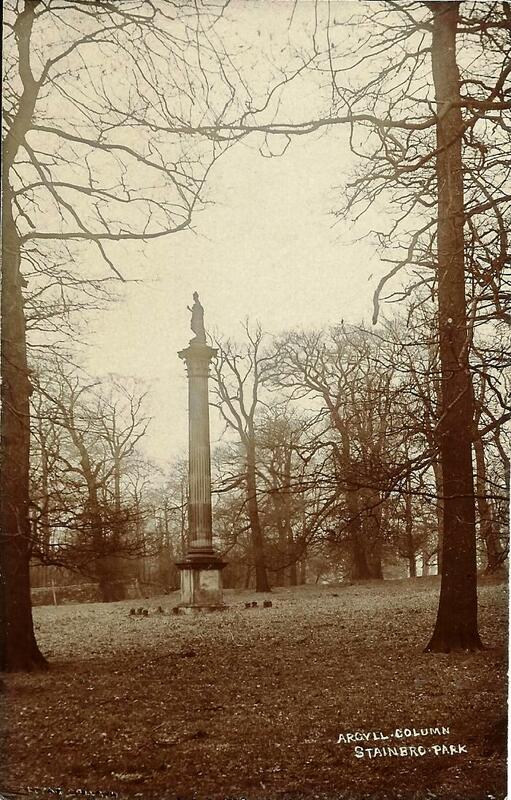 In 1744, a Corinthian column surmounted with a statue of Minerva was erected near the original driveway to Wentworth Castle. It was built by Joseph Bower for the 2nd Earl in memory of his father-in-law. In 1727, Thomas Wentworth, the 1st Earl of Strafford, had a gatehouse and 220 yard long wall with four square towers built on the sit of a hill fort. The four round towers of the gatehouse were named after his children, Anne, Harriet, Lucy and William. When Sir Thomas Robinson visited it in 1734, it was said to be 'just finished'. Horace Walpole said it was built 'in the true style'. 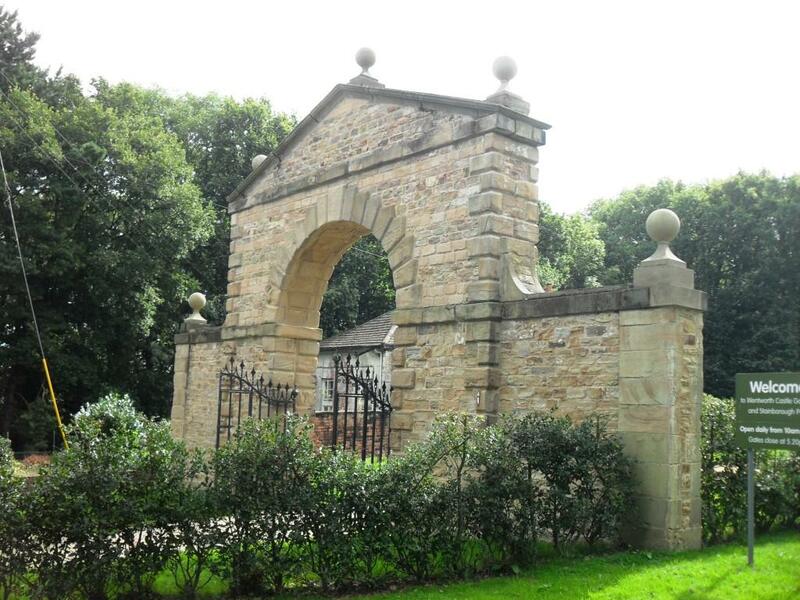 By 1775, John Platt of Rotherham was required to rebuild part of the gatehouse. In two eastern towers collapsed during the 1962 gale. 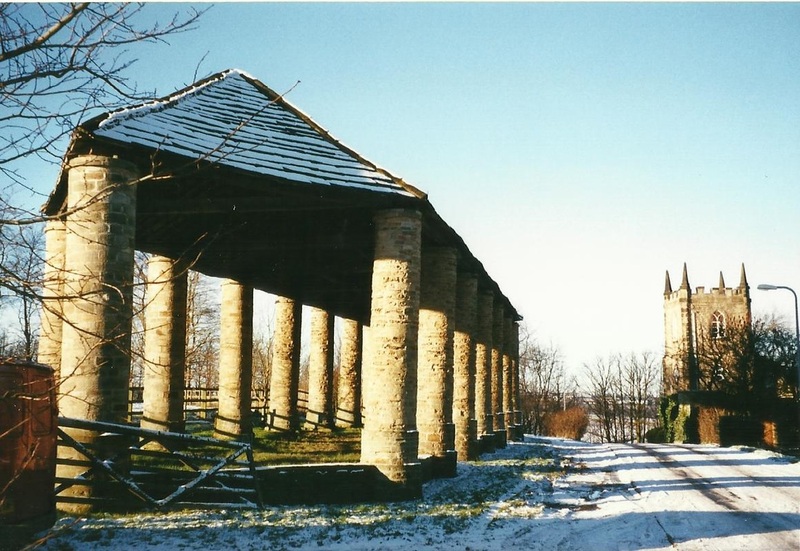 The Pillared Barn was built in about 1775 for the 2nd Earl of Strafford. Work on the Rotunda was started by Joseph Bower, the estate mason, for the 1st Earl of Strafford who died in 1739. It was built between 1742 and 1746 for the 2nd Earl. The Ionic peristyle is inspired by the Temple of Sybil at Tivoli near Rome. 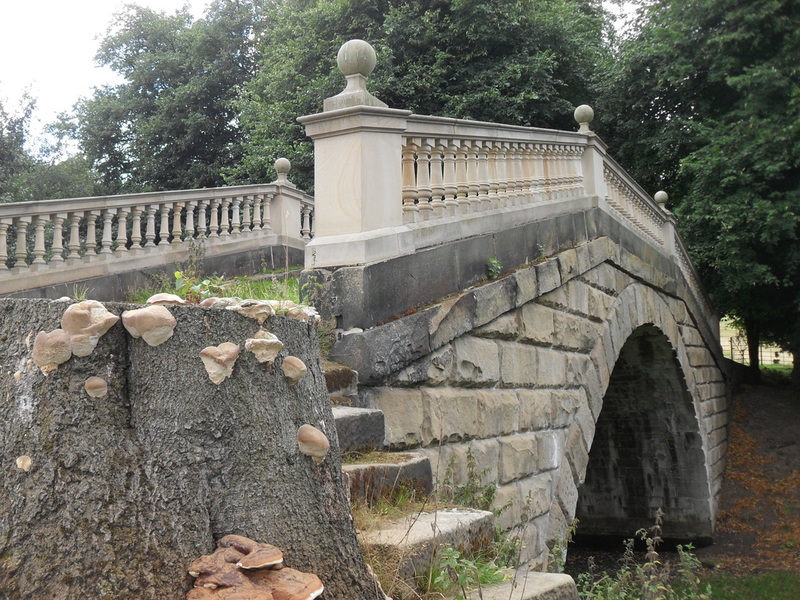 It was badly damaged by fire in the 1980s. ​The Rotunda was recently restored. 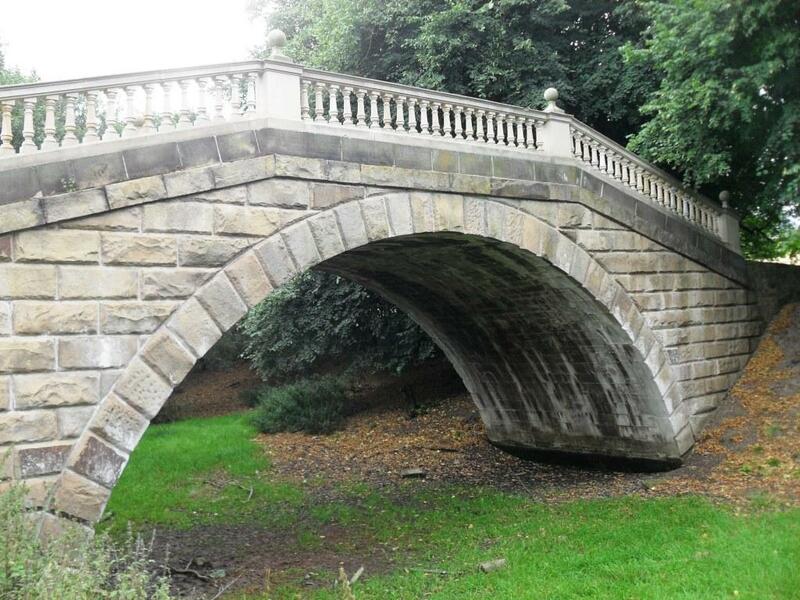 The Serpentine Bridge spans the contour canal and was built for the 2nd Earl of Strafford in 1758. The stone steps were added later. Straffod Gate was erected for William Wentworth in 1768. Unfortunately, the gateway has been recently moved about 20 yards to allow access to the visitor car park. 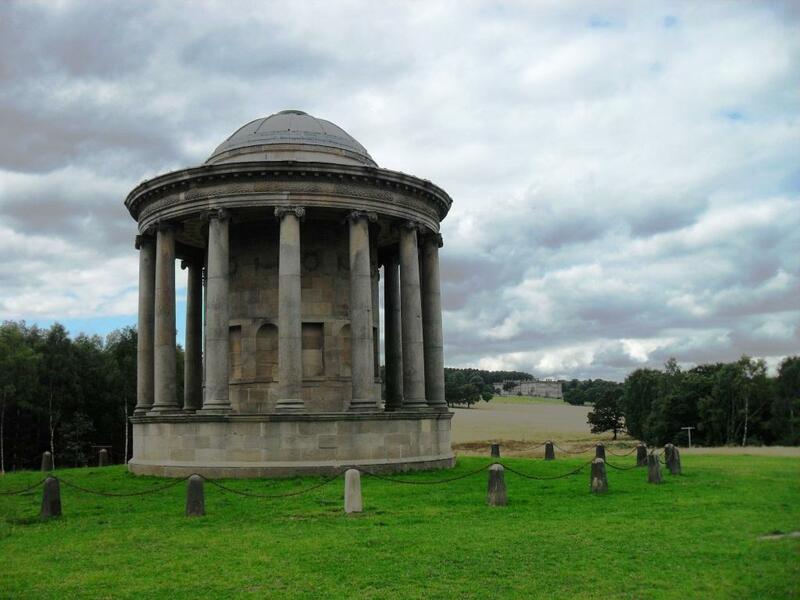 Steeple Lodge is a sham church erected in 1775 at the northern entrance to Wentworth Castle. There is a copy of the sham church at Broughton, Northamptonshire, built for the Earl of Strafford. Steeple Lodge was for sale in 1991 for £120.000 and reduced to £105,000 in 1993. 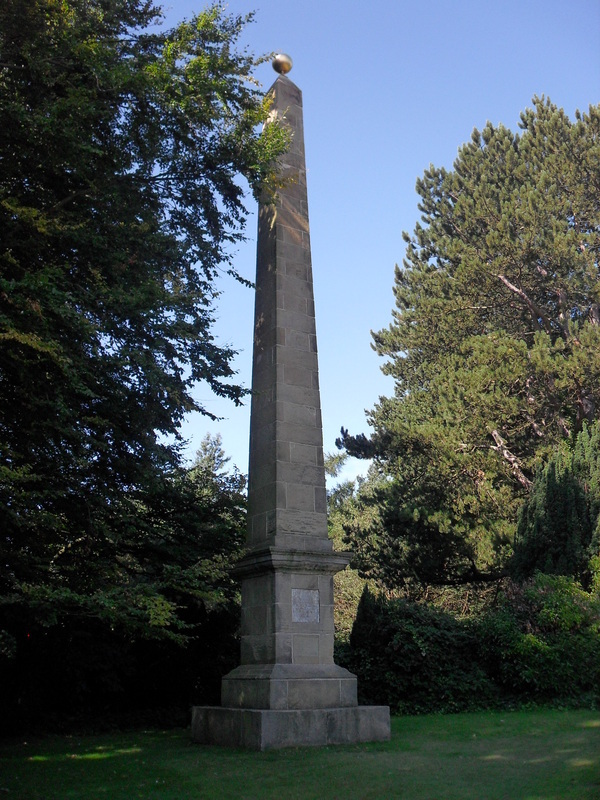 William Wentworth had an obelisk erected and dedicated it to Mary Montagu, wife of the British Ambassador to Turkey. The bronze disk could be seen from their home at Wortley Hall.